Every marketing email needs to have a captivating subject line. The subject line is the first impression you make to your subscribers. Essentially, it is the deciding factor whether someone opens or completely ignores the email. We want to share 9 tips on how to craft effective subject lines to help boost email engagement of your email campaigns. One of the main key to success with subject lines is to keep it short. People briefly look at the subject lines within the inbox. 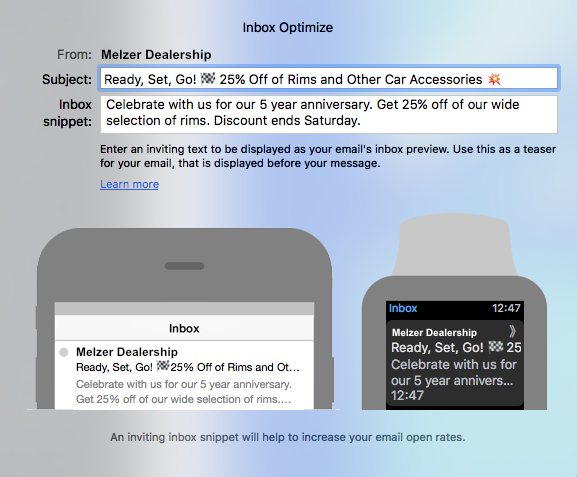 Subject lines should grab attention, but you can’t do that with a paragraph. Maybe you’ve heard that you need to keep your subject line within 30 or 40 or 50 characters. There are so many numbers flying around. And to be honest, we can’t say ABC is the right amount and DEF is the wrong amount. Different devices have different character limits. Different email clients also have different character limits. And the email journey of your design is very diverse as it heavily depends on individual subscribers. 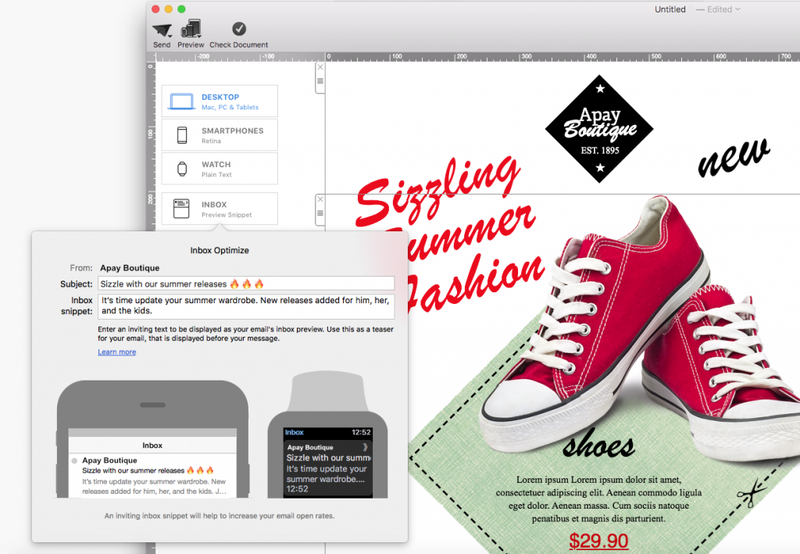 Your subscribers receive your designs on different email clients. They also open your designs on different devices. Maybe a smartphone model 123 may have a 35 character line limit. 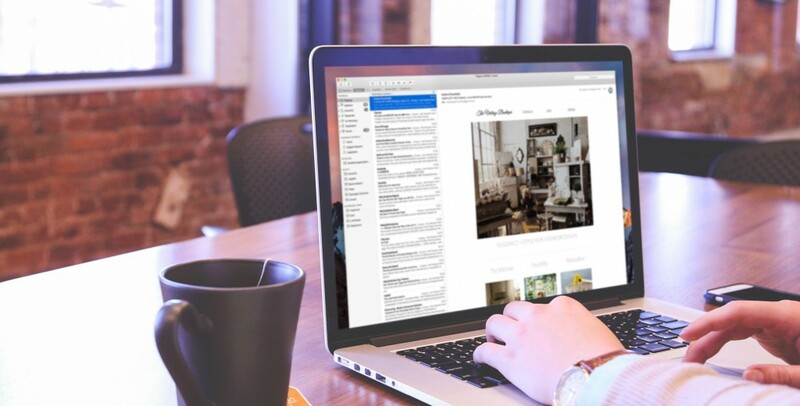 But what if your subscriber decides to open your mail on the desktop instead. Or what if a different subscriber opens the email on smartphone model 456 with a 30 character line limit. As you can see, it’s quite unpredictable. So when we say keep your subject line short, we mean keep it short generally speaking. You don’t need to measure how many exact characters you are using. Instead, you should just aim to write a short, relevant statement that grabs attention. You know your audience. You know your brand’s voice. Make sure to keep both things in mind when crafting your subject line. It’s just as important that your subject line exudes your brand personality as much as the content. If you have a tendency to converse with them more formally, then use the same formal tone in your subject line. This is suitable for formal business topics, local and world news, business reports, etc. If you normally talk to your your subscribers in a casual manner, then your subject line should also be casual. Use layman language that everyone can easily understand. Feel free to even occasionally use a modern slang. If there’s one thing online that people get easily annoyed with, it’s clickbait. Don’t create a subject line that’s interesting but has nothing to do with your content. That may backfire and land you in the spam folder. Use the subject line to tell them what’s inside the email. You can briefly introduce the contents of the email. Your goal is that your subscribers will know the purpose of the email just by reading the subject line. Look at the subject line as the place for value statement. Use the subject line to let your subscribers know the value of the email. Inform them what exactly they can gain from your email. In most email clients, the first line of the email or at least the beginning portion of the first line is usually shown along with the subject line. We refer to this as the inbox snippet. If you go to your inbox right now, chances are that you will see both the subject line and the inbox snippet. 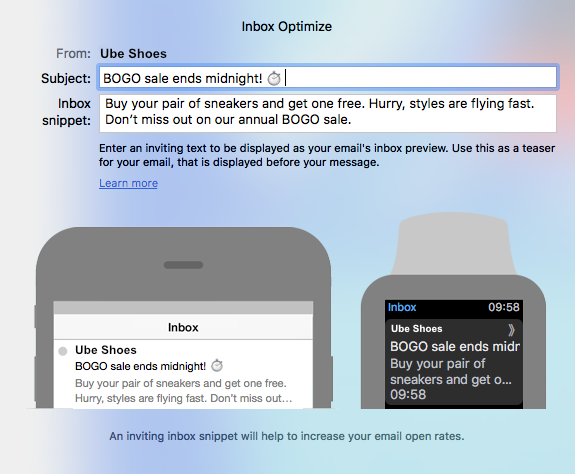 That’s why it’s important to use the inbox snippet as a way to supplement your subject line. Write additional information that will further motivate your subscribers to click open. Tip: In Mail Designer 365, you can optimize the inbox snippet. Just click “INBOX” on the left hand side of your app window. You will then be able to edit the subject line and the inbox snippet. With Mail Designer 365, you have the power to change the inbox snippet that is entirely different from the first line of your email. If you succeed at making them feel good on the inside, then you have increased your email’s chance of being opened. Another effective method that we recommend (honestly, we swear by this…) is to use phrases that depict urgency and scarcity. There’s something about urgent or scarce phrases that just make people want to jump to action. Although we’d like to point our finger at FOMO (fear of missing out), we can never be too sure ?. A third option is to ask a question. The question has to be relevant enough that it can tie in with your products and services. At the same time, it has to be general enough that any of your subscribers can relate. Whether you opt to make your subscribers feel special or to use an urgent/scarce phrase or to ask an intriguing question, don’t forget to add action-oriented verbs within your subject line. Action-oriented verbs cue the subscriber on what to do. It also adds a slight push or pull for them to act. If you’ve read our past posts, then you know we give a big ? to emojis. Emojis help add character and color to your subject line. Our eyes are immediately drawn to emojis when we go through our inbox, which is typically covered with words line after line. So if you want to stand out from the rest, try adding an emoji or two.